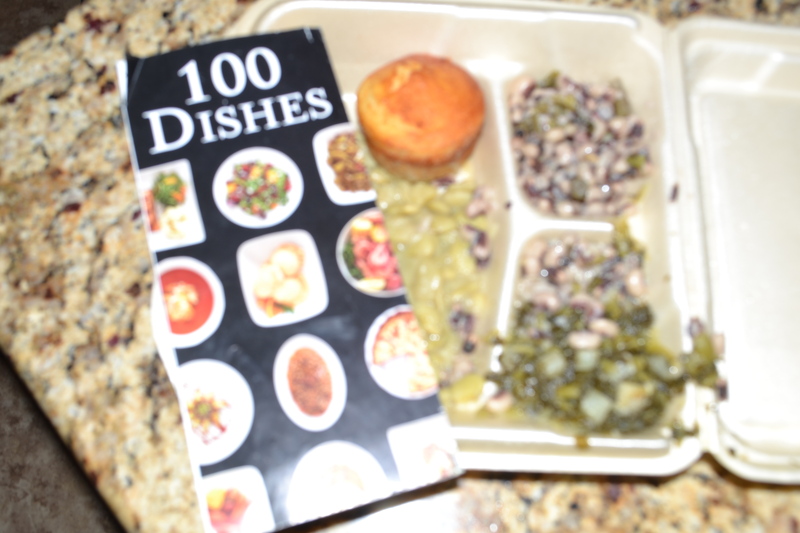 *100 Dishes to eat in Alabama before you die is a compilation of food to chow down on Bama style. Thanks to Tourism Alabama, www.alabama.travel my Alabama bucket list just became a little easier. I am going to have some fun while making my way like Ms. Pacman, in yet another state that I call home. Download the alphabetical brochure that begins in Abbertville and ends in York. 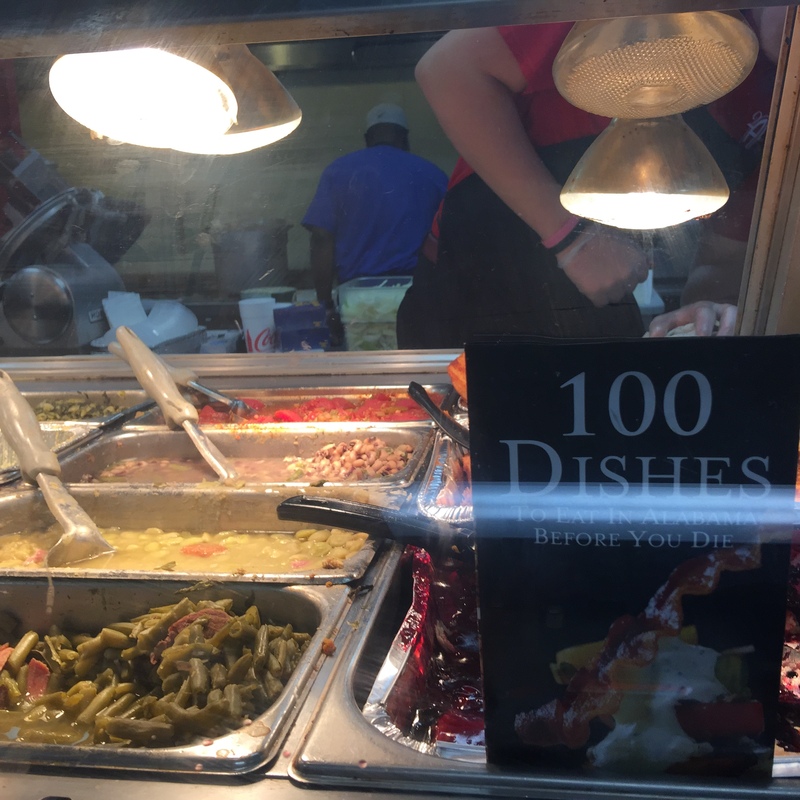 From the little old diner to the white cloth joint, it is an opportunity to explore and experience pride in the food from restaurateurs who are dedicated to local food with some Alabama style. From BBQ to James Beard recipients. Derk’s Filet and Vine is described as a popular Montgomery meat-and-three, where “The Southern-cooked veggies are always fresh and have a homemade taste reminiscent of Grandma’s cooking.” True that! There is a cafeteria-style hot bar; a deli and a market where one can buy freshly cut quality meats and unique foods, wine and beer. Some of the items that one may not find at a hot bar in say Minot, North Dakota are; Black eyed peas, lima beans, tomatoes and okra, sweet potato casserole. turnip greens and good ole cornbread muffins. I imagine that these dishes are the reason that Derk’s was chosen for the 100 List. I realize that this photo does not look extremely appetizing, trust me, it was delicious! I have had all of the veggies from the hot bar and I really love going there. Too bad my hair stylist moved across town. I am going to miss popping in and grabbing a side dish. *MEGASTAR because the food is pretty good with a nice variety. *MEGASTAR because it has a nice market atmosphere with unique items. *MEGASTAR meets one of the definitions set forth by Alabama Foods/Tourism with fresh-local foods and some Alabama pride. Check out the wine and beer selection. 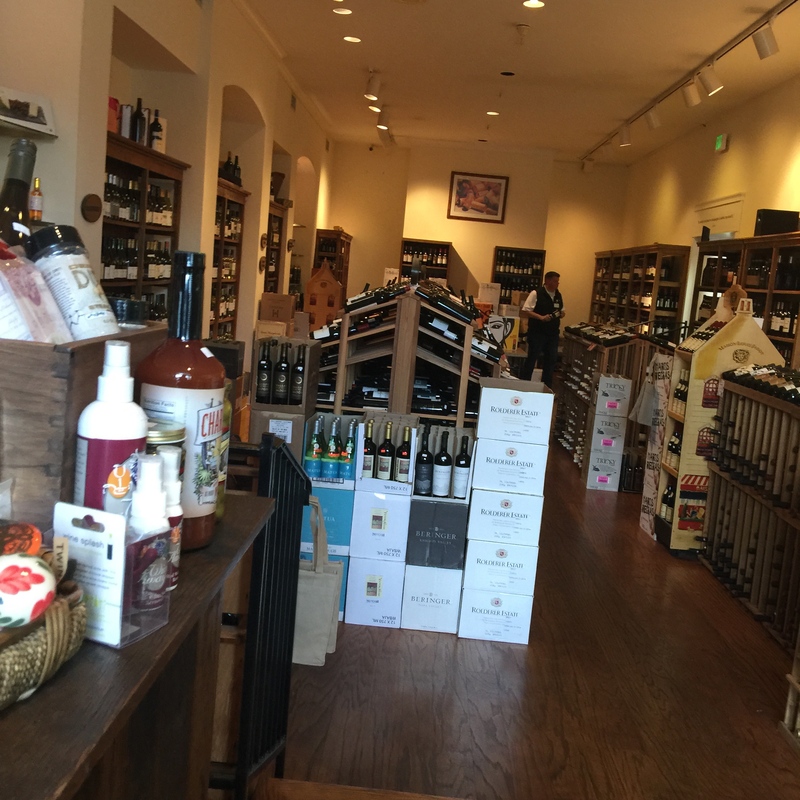 Even if you are not a wino, it’s a handsome shop. Eat from the hot bar and sit outside and people watch during lunch hour.